We deeply appreciate the interest and enthusiasm shown by our regular participants and readers in the free full length series. We have already covered full length tests on GS1, GS2, GS3 and GS4. This is the final mock test paper in the series, and we will be covering essay paper in this test. As UPSC has indicated that there may be multiple essays this year, we ask you to write two essays in this mock test in 3 hours. The actual case may be different. It may be more or less. Be prepared for surprises. Is India a regressive society for women? Re-emergence of India on the global stage. 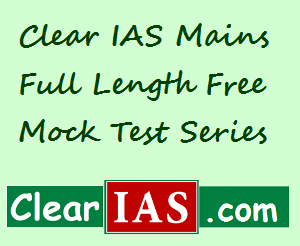 For UPSC mains Essay writing which topic are the expected one.which subjects shall I more focus for writing essay.thank you.